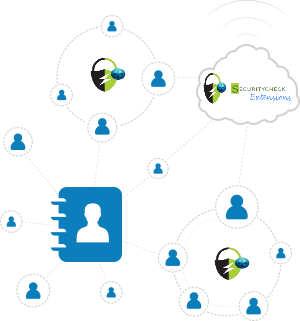 Earn money by sharing Securitycheck Extensions with your network. Start making the most out of your network! There’s no commitment, no monthly sales quota, and did we mention it’s 100% free? You can utilize as many or as few resources as you want – drive traffic to our website and landing pages using the links, banners, and other resources we provide, and you’ll earn up to 20% for each sale. As an Securitycheck Extensions Affiliate, you’ll have complete access to extensive, polished marketing resources. We provide all the collateral you’ll need, including banner ads, emails and unique links. Choose what works best for you — use any of the marketing materials you want to share the Securitycheck Extensions messaging with your network. You’ll have 24/7 access to our partner portal, so you can check the status of your commissions at any time. The more people you refer, the more money you’ll make. It’s that easy. Securitycheck Extensions pays you up to 20% per sale, paid the day immediately following the sale. Get started with our Affiliate Program!